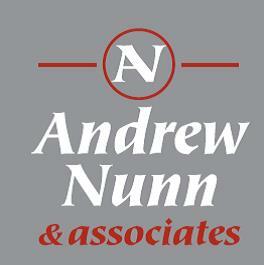 Andrew Nunn & Associates is a trading name of Andrew Nunn & Associates Ltd whose registered number is 04880938 and registered office is The Clock House, 66 South Parade Chiswick London W4 5LG. We review our retention periods for personal data on a regular basis. We are legally required to hold some types of information for certain prescribed periods to fulfil our statutory obligations. Outside of specific statutory obligations, we will hold your personal data on our systems for as long as is necessary for the relevant purposes for which we use it, or in accordance with any retention periods set out in any relevant contract you hold with us, or until you request your information is deleted from our records. We may use your name, address and contact details for the purpose of carrying out our obligations arising from any contracts entered into by you and Andrew Nunn & Associates, such as providing you with products and services you have requested. Our legal basis for this use is that it is necessary for the performance of a contract to which you are party. We may use your name, email address and postal address to provide you with information, you have requested from us, respond to enquiries or requests from you, communicate with you in relation to those enquiries or requests. Our legal basis for this use is our legitimate interests, namely carrying out activities in the course of Andrew Nunn & Associates’s business in response to customer enquiries or requests. We may use your personal details to verify your identity in order to fulfil our legal obligations in such areas as Money Laundering. Our legal basis for this use is compliance with a legal obligation to which we are subject. We may also use any of your personal information that we collect from you directly and additional information about you from external sources where necessary to detect and reduce fraud and credit risk. These sources include the publicly accessible Land Registry and various credit reference agencies. Our legal basis for this use of your personal information is our legitimate interests in preventing our business being subject to fraud or credit risk. Business partners, suppliers and sub-contractors working on our behalf for the purposes of completing tasks and providing services to you. These are Webdadi who run our website and sales and lettings database and several credit referencing agencies who advise us on creditworthiness for our rental business and Dow Jones who advise us on Anti Money Laundering issues. To exercise any of these rights, email us at andrew@andrewnunnassociates.co.uk or write to us at The Clock House 66 South Parade Chiswick W4 5LG. In addition, you can exercise your right to object to direct marketing at any time by clicking an ‘unsubscribe’ link at the bottom of one of our emails. It is possible to switch off cookies by setting your browser preferences. For more information on the Cookies we use, visit our Cookies Policy ​https://www.andrewnunnassociates.co.uk/cookies​​​.